Permanent settlement in this area dates from 1846, with the establishment of old Fort Kearny on Table Creek. 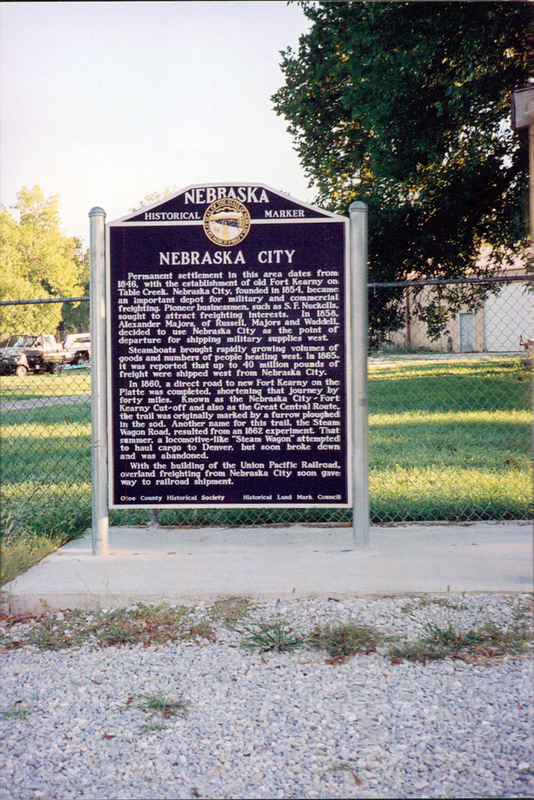 Nebraska City, founded in 1854, became an important depot for military and commercial freighting. Pioneer businessmen, such as S. F. Nuckolls, sought to attract freighting interests. 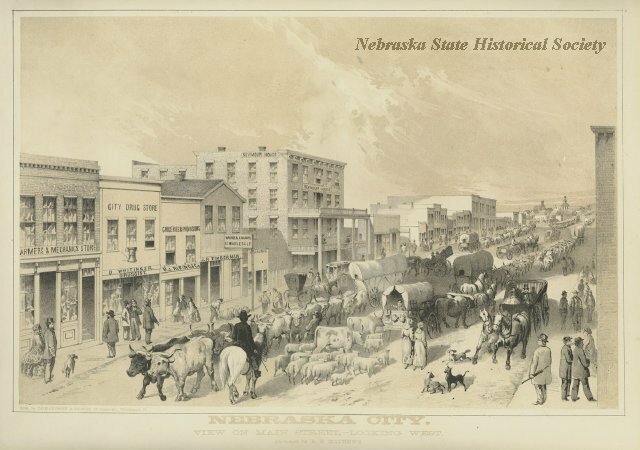 In 1858, Alexander Majors, of Russell, Majors and Waddell, decided to use Nebraska City as the point of departure for shipping military supplies west. Steamboats brought rapidly growing volumes of goods and numbers of people heading west. 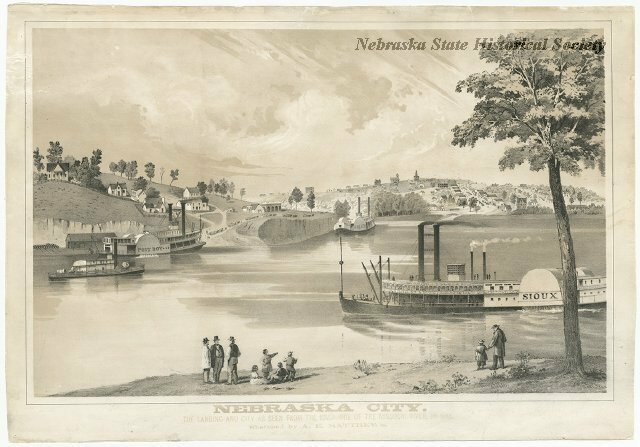 In 1865, it was reported that up to 40 million pounds of freight were shipped west from Nebraska City. In 1860, a direct road to new Fort Kearny on the Platte was completed, shortening that journey by forty miles. Known as the Nebraska City-Fort Kearny Cut-off and also as the Great Central Route, the trail was originally marked by a furrow ploughed in the sod. Another name for this trail, the Steam Wagon Road, resulted from an 1862 experiment. That summer, a locomotive-like "Steam Wagon" attempted to haul cargo to Denver, but soon broke down and was abandoned. With the building of the Union Pacific Railroad, overland freighting from Nebraska City soon gave way to railroad shipment. 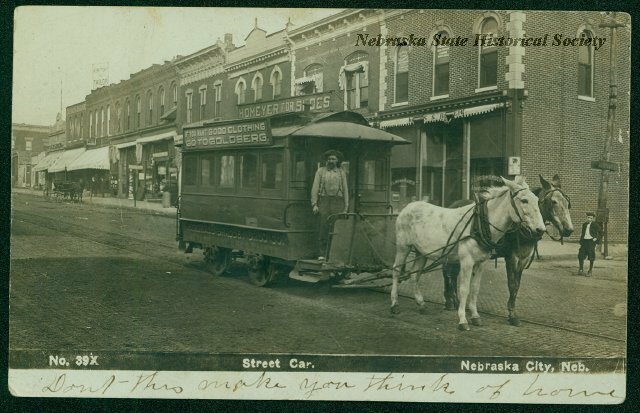 “Nebraska City,” Explore Nebraska History, accessed April 19, 2019, https://mynehistory.com/items/show/383.